Steven J. McCardell is a shareholder in the law firm of Durham Jones & Pinegar in Salt Lake City. His practice includes bankruptcy, litigation and appellate matters. He received his J.D. degree in 1981 from the J. Reuben Clark Law School, after which he clerked for the Honorable Ralph R. Mabey and the Honorable Glen E. Clark in the United States Bankruptcy Court for the District of Utah. He is a member of the Utah State Bar, the American Bar Association, the Utah Bankruptcy Lawyers Forum and the American Bankruptcy Institute. In 1998, he became a fellow of the American College of Bankruptcy. 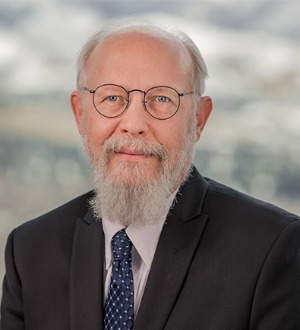 He has served as a member of the Local Rules Committee for the United States Bankruptcy Appellate Panel of the Tenth Circuit (2001-2003) and as a part-time adjunct professor of law at the University of Utah College of Law (1987) and the J. Reuben Clark Law School (1994-1997). He has been a speaker on bankruptcy matters for the National Conference of Bankruptcy Judges, American Bar Association, American Bankruptcy Institute, Utah Bankruptcy Lawyers Forum, and Norton Bankruptcy Law and Practice. He argued for the debtor in United States v. CF&I Fabricators of Utah, Inc., 518 U.S. 213 (1996).